The Capitals have announced that Dale Hunter won't return as head coach next season. Hunter, who stepped in to lead the team after Bruce Boudreau was fired, cited family reasons for not returning to the team next season. Hunter said he spoke to his family Sunday, "slept on it," and decided to return to London, Ontario, where he was the coach of the town's junior team before heading to D.C.
"It was a tough decision, but it was the right thing for me and my family," Hunter said. 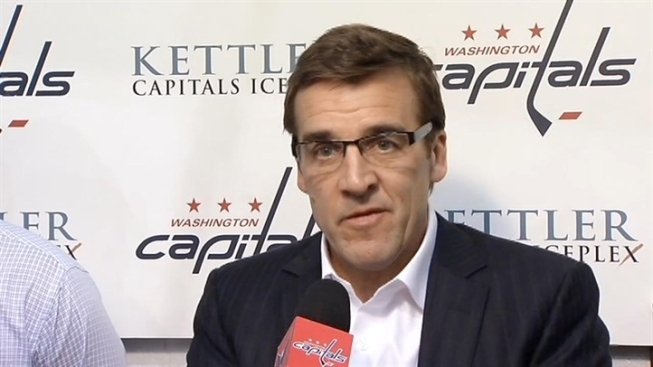 Capitals' GM George McPhee announces the departure of head coach Dale Hunter. Hunter led the team on a surprising run in the Stanley Cup playoffs, defeating the defending champion Boston Bruins before losing to the New York Rangers in seven games in the second round. The former Capitals star had not signed a contract beyond the end of this season. The team will now go on another search for a new coach. 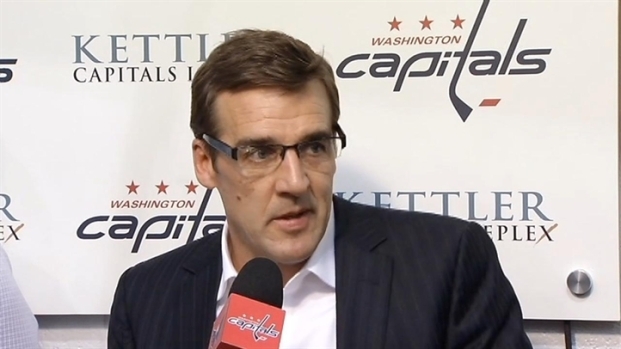 General Manager George McPhee said he is "not in any rush" to find the next coach of the team. He also explained Hunter's decision to not return by saying, "Family comes first." 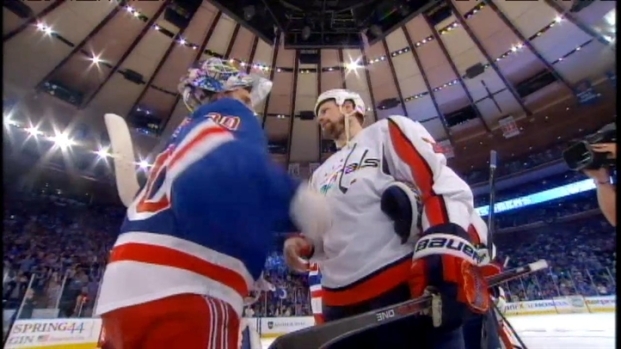 Take a look back at the Washington Capitals' 2012 Stanley Cup playoff run. After taking over for Boudreau, Hunter went 30-23-7 during the regular season and 7-7 in the playoffs. He transformed a run-and-gun Caps squad into a defense-first team. And he did so by all means necessary -- including sitting superstar Alex Ovechkin in the playoffs. Ovechkin saw his ice time drop significantly at times during the postseason as Hunter gave playing time to those who were, shall we say, more defensively aware. But by the end of the team's playoff run Ovechkin's time had jumped back up, and he could be seen going down to block shots in his own end -- a sight rarely seen during his NHL career. Ovi didn't mince words Monday on what it was like trying to adapt his game to Hunter's style of play. "It was pretty hard, to be honest with you," he said. For his part, Hunter pointed to the Tampa Bay game on March 8 as when he saw his players collectively grasp his style of play. It was a game that Ovechkin won in overtime. Hunter laid the groundwork for what the future could look like in Washington. The team now knows what it takes to win in the postseason -- a sound defensive philosophy -- and it appears the star players have bought into that thinking. Now it will be up to McPhee to find a coach who will build upon the success Hunter had using that system.